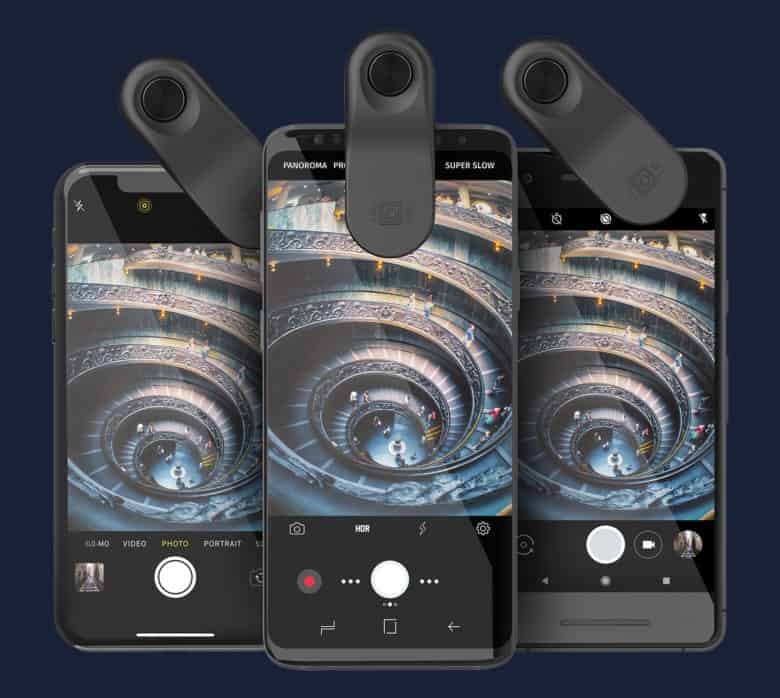 That’s significant considering that lens attachments usually require the mobile photographer to either shed a phone’s protective case or pony up extra dollars for a company’s mounting case. Maybe this is not a big deal, but if you frequently upgrade your phone, the Multi-Device Clip lets you at least shop around for a thin case within your budget. olloclip stresses that the smartphone must be no more than 12 mm in combined thickness so if you prefer a more muscular case like from Otterbox, the clip won’t fit. 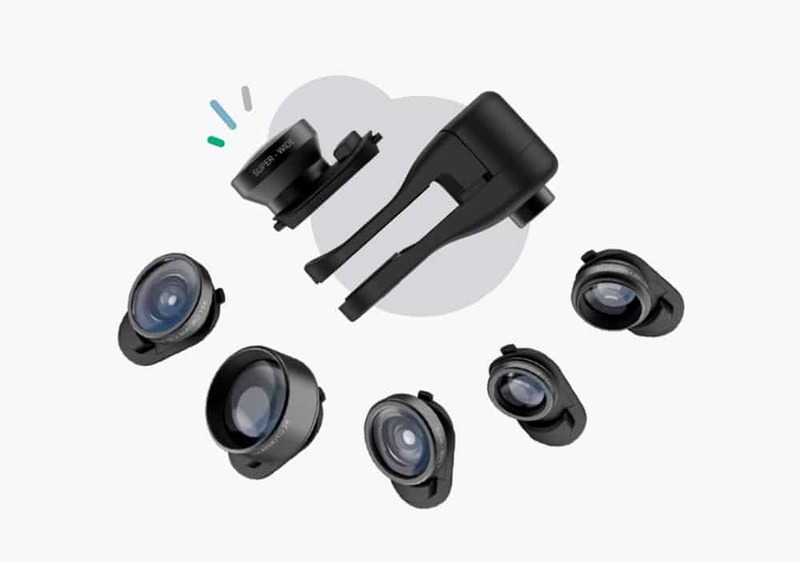 The Multi-Device Clip also allows any smartphone user to add the Connect X lenses, which olloclip made for the iPhone X.
olloclip’s Connect X lineup fits the new Multi-Device Clip. The Connect X lineup includes a four-element super-wide, an ultra-wide, telephoto, fisheye/macro combo and three ranges of macro lenses. The new clip will be available in mid-September with a lens for $59.99. Additional lenses cost $44.99. Users with Connect X lenses will be able to purchase just the clip for a price yet to be announced. olloclip has been around since 2011 and is considered one of the top brands among mobile photographers. It’s products have been issued more than 100 patents worldwide.